As a servant to a cat myself, I have come to know that her most popular piece of cat furniture is her Cat Condo, Tree or House. They have various names. Cats and kittens both truly enjoy the luxury of having their own space without any doubts. Most cat furniture of this nature has many levels (to allow those climbing trips full of adventure), to various "holes" that the cat or kitten can crawl into and take a nap. These are commonly referred to as bedrooms. Some have dangling toys that will entertain your cat or kitten when he or she does not want to allow you to entertain her. Overall, what is the most popular thing that one would expect in such cat furniture? Well, cats enjoy scratching! So you would want to provide a good area of scratching surfaces so that they can keep their claws in shape on their furniture and not the furniture they "allow" us humans to use. From my experience with several cats over the years and various versions of the cat condos, trees and/or houses, I have learned that there is no cat furniture of this nature that a cat will turn their back on. 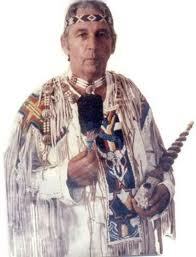 Most seem very cat friendly in nature and vibrations. Of course none of us would think of pampering our cats or kittens too much, but giving them their own space to scratch, climb and lounge in a safe environment is not "too much" pampering! Your cat or kitten will be well-behaved and entertained for hours with the introduction of cat furniture of this nature. The Pink 73 inch Cat Tree Pet House is cat furniture that your cat or kitten will truly enjoy. 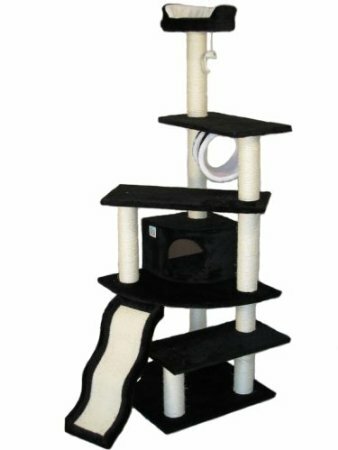 With several cubbies or bedrooms provide, this cat condo will provide ample space for one or more cats and/or kittens to have a space that is their own to lounge and sleep. 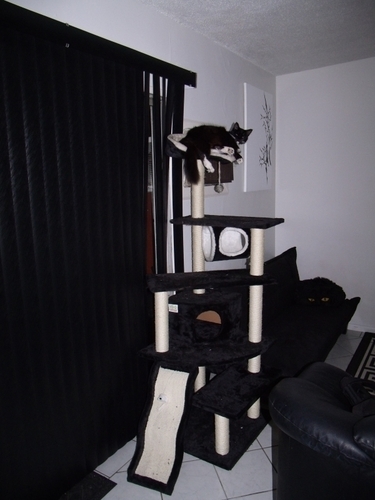 All surfaces are cat friendly in regards to scratching and climbing and will hold up to years of use. 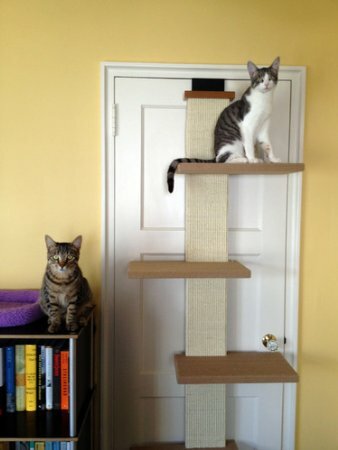 While being tall, and very impressive, the footprint of this cat condo is not too large and it will not require a large amount of floor space. 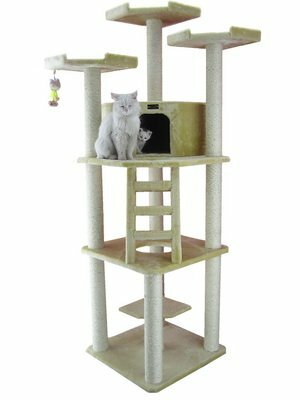 Base Dimension: 27" x 23"
Top Three Perch Dimension: 14" x 14"
The Armarkat Cat Tree Model A8001, shown here in beige, is a nice top of the line cat condo, house or tree. Consisting of one cubbie or bedroom and many various platforms, this condo will supply your cat or kitten with plenty of room to entertain themselves. An abundance of cat scratching and climbing services are provide as well as a dangle type of toy that will keep your cat or kitten playing for hours. The three platforms at the top of this house provide places for your cat to keep an eye on various aspects of their living environment, or you! Lounging is a favorite past-time of cats and kittens without any doubts. 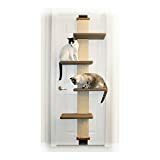 The GoPetClub 70" Cat Furniture Tree Condo Scratcher Post Pet House has many various levels that will provide your cat(s) or kitten(s) a means for great exercise. Sporting a nice sized bedroom or cubbie, your cat will have an area that gives them a sense of privacy and security. 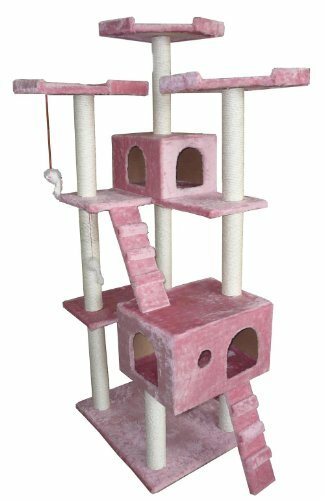 The entire surface of this cat condo house is made for hours of scratching and climbing enjoyment by both full grown cats as well as kittens. With the top "lookout" platform or "daybed", your cat will be able to scout and keep an eye on the surrounding environment to keep tabs on cat and kitten related important happenings. 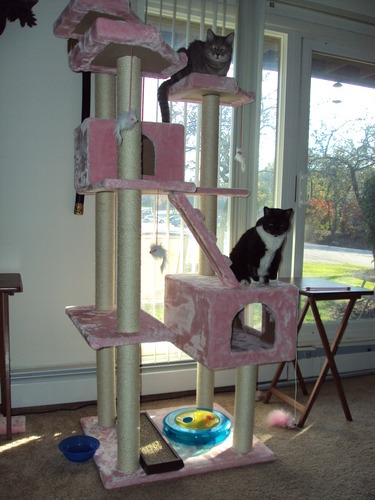 The SmartCat Multi-Level Cat Climber was designed for an area that does not allow for a full sized cat house, tree or condo, yet provides your cat or kitten with an area of private space for climbing, scratching, playing and lounging. With a design that is unique, this cat climber allows it to be place in an out of the way area such as a doorway or other opening that is not used often. 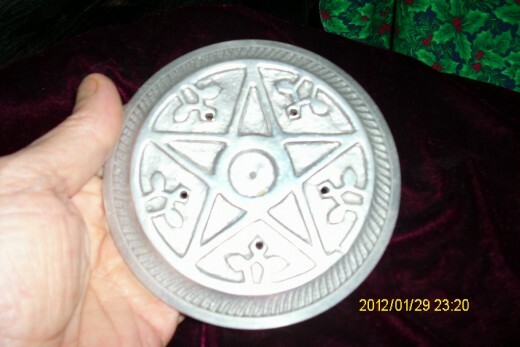 With this design there is hardly any footprint at all and does not create a stumbling or tripping obstacle. 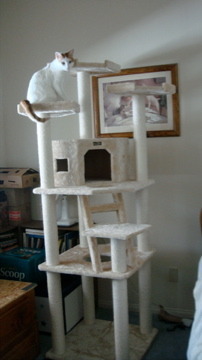 Large enough for several cats and/or kittens, this cat climber will offer hours of pleasure and enjoyment. Steaming hot and ready to be enjoyed. You can almost smell this Traditional English Beef Stew! 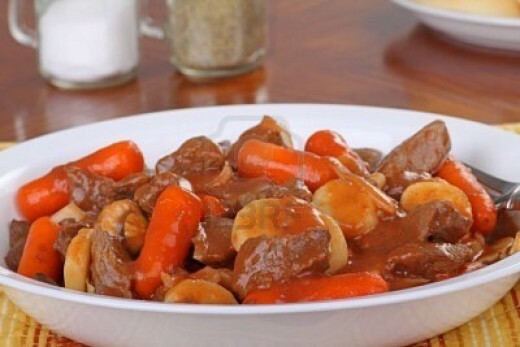 Over the centuries, there has been no dish that has survived in Britain longer than the Traditional English Beef Stew. The endurance over time of Traditional English Beef Stew being consumed by peasants to royalty, gives honor to how wonderful this hot dish satisfies all. Throughout history, this stew has managed to keep the folks in Britian on their feet, alive and healthy during hard times and especially during the harsh, cold winter times. Not just a stew to enjoy during hard times, Traditional English Beef Stew is enjoyed by folks around the world at any time! Quite simple, tasty and easy to prepare, once served, the Traditional English Beef Stew will bring smiles to your family and friends. To convert this same stew into the Traditional Irish Stew, simply substitute the beef with lamb and you will have created the Traditional Irish Lamb Stew. Chop the Onion & Carrots and put in the pan (we use a crockpot) with the Beef and cook until meat is browned and Onion begins to reduce. Add the parsnip and cover contents of the pot with water. Add the stock cube/s, salt, pepper and herbs to taste. Serve in a bowl with potatoes and a slice or 3 of Bread on the side! The many ways that Google and forums suggest resolving this technical issues that revolves around Google Chrome all involve you actually becoming a tech savvy person to be able to attempt all the various resolutions and have hours of patience. To this day, none, and I mean absolutely none, of the troubleshooting steps I have tried have resolved the "Resolving Host" problem with Google Chrome. Again, as with many "Google" things, they show no interest in simply fixing the issue that does not remotely appear using various other internet browsers. I will not link to all the useless posts for a fix as they do not work. The"fixes" are simply to drive traffic to ad driven websites, forums and blogs, for generating ad revenue with absolutely no fix. This is common place anymore. One simply finds a problem and posts a fix. Many people have the issue so it drives traffic to the post raising the post in Google search results. To me, the resolving host issue simply is a ploy by Google to create such scenarios so that their ads are viewed more on these "fake" fix posts by others. By far, the best solution I have concluded is to simply forgo the fact of the convenience of Google Chrome, to have everything linked, in favor of doing away with the aggravated of the numerous daily delays I endure trying to browse the web. That being said, I will use Pale Moon (A Firefox variation) as my main browser. It is a free source browser and has been trouble free over the years I have used it. It has gotten a tad heavier in weight over the years and uses more memory that it used to, however, nothing as near as the usage of memory by Google Chrome. You can download the Pale Moon Browser for free here. It is worth giving it a try, comparing it to Google Chrome. 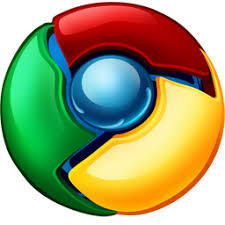 You can import your bookmarks from Chrome to Pale Moon as well as that option is available. Feel free to join me in a Chrome free world as you cruise the internet! I do look forward to any comments, thoughts and/or ideas that you may have! Chrome Browser has gotten worse.